In a nutshell, families and friends register for the Great Park Pursuit in April and for 7 consecutive weekends in May and June, meet at certain parks and state forests throughout the state for recreational opportunities and educational activities. If all events are attended and other prerequisites, like photos, submitted, families can receive state park season passes at the final event, which this year was held at UConn on June 21st. 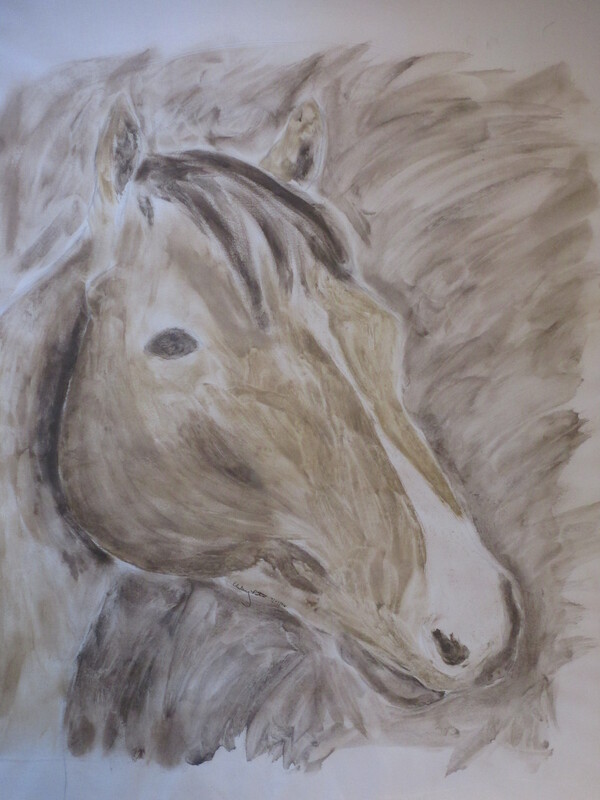 So I was trying to come up with a hand’s on soil activity that would be suitable for young children, would not require lugging massive quantities of soil and would not be too ‘dirty’. One of the soils professors at UConn, Cristian Schulthess, had shown me some soil paintings that a few of his students had done as a class assignment and I remember how beautiful they were. 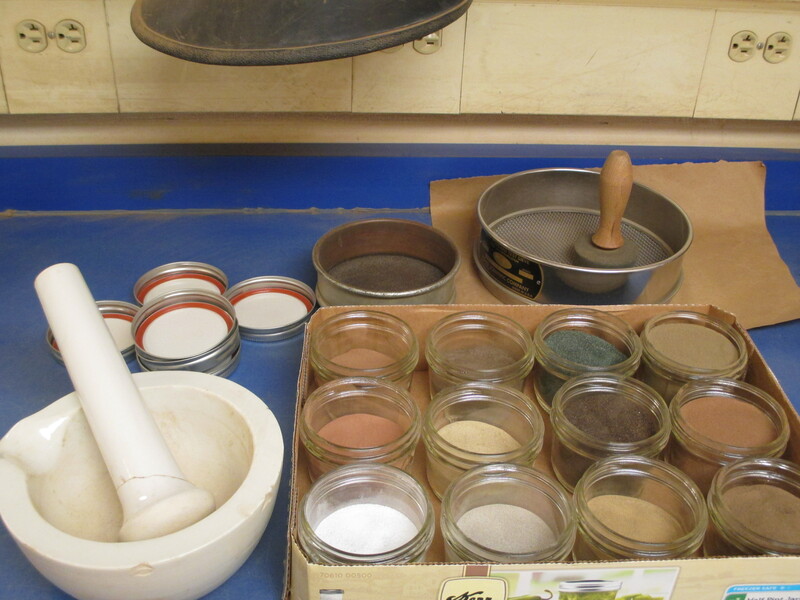 He gave me instructions on making the paints and I started collecting soils to use. The colors of soil are derived from both the minerals that make up the soil as well as organic materials in the soil. For instance the red soils in Connecticut are due to iron in an oxidized form – think rusty nail. The next step took the longest – using a mortar and pestle to crush the soils and then putting them through a fine sieve. The directions said to put them through pantyhose but I wasn’t going to ruin a perfectly good pair of stockings! That gives you an idea though of how fine the soil needs to be. To turn the soil into a medium for painting, it was mixed in small plastic cups with clear artist’s acrylic and thinned with a little water. I ended up using watercolor paper which was cut in half for the kids to paint on as regular copy paper got too wet and tore. 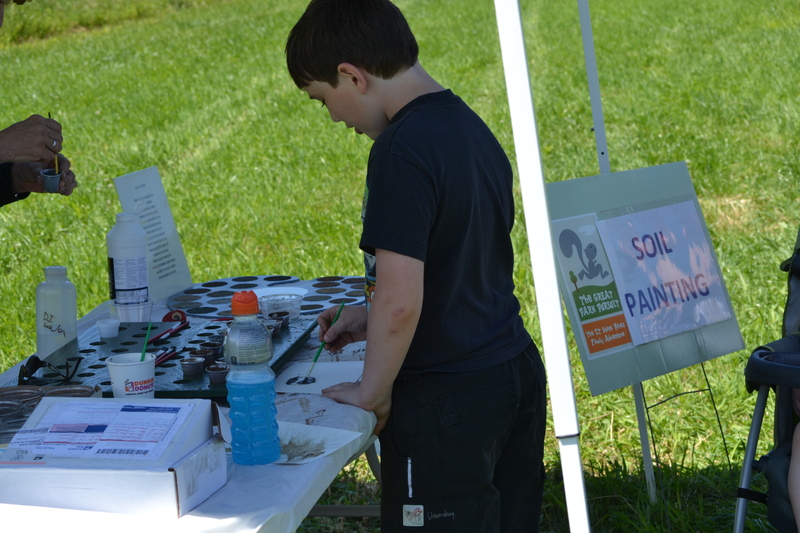 Last Saturday was a beautiful day but a bit breezy for soil painting outdoors so I just made a lot of small batches so they would not dry out too fast! 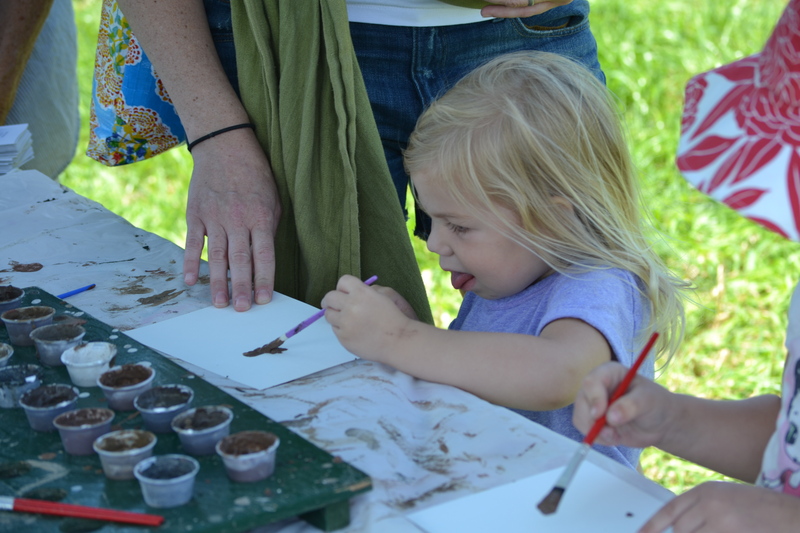 All in all, 175 kids plus a few grown-ups came to the table to try their hand at soil painting. Not a bad turn out and hopefully a lesson that soil has many uses and we should appreciate all of them!